An introduction to Women’s Artistic Gymnastics. Gymnasts will learn basic gymnastics skills on vault, uneven bars, balance beam, & floor while increasing their overall strength and flexibility. No previous experience necessary for entry into Pink/Orange/Yellow. Advancement to Green/Blue/Purple by demonstration of skill mastery. Classes have a 6:1 child to instructor ratio. Tuition prices listed are monthly. ​ Register for the class of your choice and try it out. 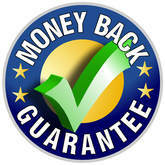 If you are not 100% satisfied with the experience, we will give you a full refund! (Applies to first class only). Beginning & Advanced Beginning developmental gymnastics for girls ages 6-18 years old. Entry evaluations are done on all new students to ​ensure proper class placement. Advanced Beginning & Intermediate developmental gymnastics for girls ages 6-18 years old. Must have passed Pink or by instructor placement. ​Gymnasts in level Yellow are highly encouraged to come 2 days a week. ​Advance developmental gymnastics for girls ages 6-18 years. Must have passed Yellow or by instructor recommendation. ​​Gymnasts at this level are eligible to be part of our Sparklers Team (Xcel Divisions Bronze & Silver). See Sparklers Team for more information. Class available by instructor placement only. Come and play with us soon!